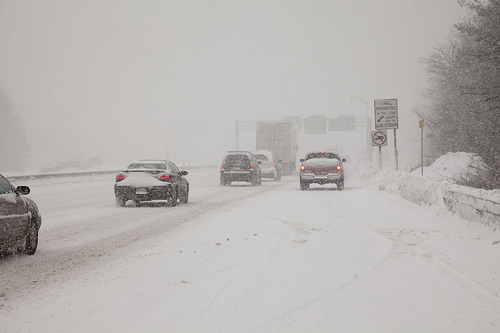 A car accident or injury that resulted from this snowstorm could be an extremely painful and disorienting experience. Thousands are suffering loss of wages and are struggling to pick up the pieces. In challenging times like this, it is vital for people to gain the necessary support so they can continue with their lives. Don’t get caught up in the situation and end up forgetting some essentials that could go a long way to protect you. Here are some key points to bear in mind should you ever find yourself in an auto emergency. Safety is your top priority If someone got hurt in the accident or is dying, it is your main priority to call 911 and to tend to their injuries. However, if this is not the case, be sure to photograph the vehicles involved before moving them to the side of the road as soon as you can. However, if your vehicle cannot be moved, do not endanger your safety further by trying to move it. If there are no injuries or deaths, call the local police (not 911, since this is not an emergency) to report the accident so that they will not tow away vehicles in unreported accidents. Submit your insurance claim ASAP With an event like this, hundreds of insurance claims will be pouring in all at once. However, it is vital to report your accident to your insurance company as soon as possible, as most have 24-hour emergency hotlines. The reliability of your claim weakens if you procrastinate. Turn in all the information you have recorded, and don’t hide anything. Wait to see whom your insurance company decides is to blame, and what settlements need to be made. Rest assured that if you feel your compensation is too inadequate, you have another good option to consider. Have the law on your side If you are injured and need immediate assistance from your insurance company, a personal injury lawyer may be able to help you collect damages quickly and efficiently. A good auto accident attorney will be able to represent you, and he or she will ensure that you do not get lost in a sea of claims that could result in a minimal settlement. The snowstorm disaster could happen to anyone. Having emergency resources available may potentially soften the blow of a tragic event. Peter Catania is the Co-Founder and Senior Partner and a personal injury lawyer of Catania & Catania Law dedicated to giving each and every client the highest quality of legal service available in the most efficient manner possible, regardless of the situation.